Buy great companies. Hold forever. If that sounds good to you, then consider these great stocks currently on sale. Mr. Market can be moody, near-sighted, and irrational. But he isn't always correct. There are times when stocks are unfairly punished. While that can make investors emotional, it can also signal an opportunity to buy great companies on sale. Here's why General Motors Company (NYSE:GM), SunPower (NASDAQ:SPWR), and United Therapeutics (NASDAQ:UTHR) fit the bill. I don't specialize in autos, but I do appreciate a good value opportunity when one is presented. 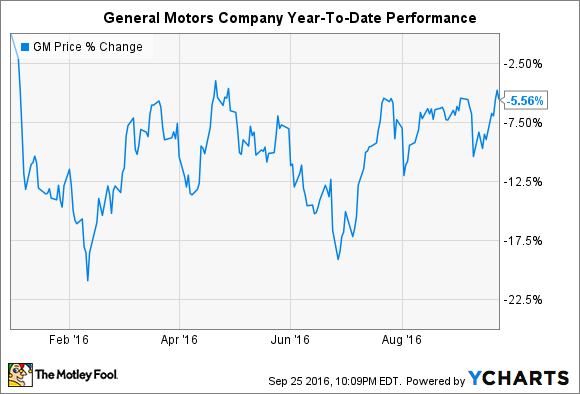 Fellow Fool and senior auto specialist John Rosevear recently went to work explaining (again) why General Motors is a compelling investment. The $50 billion company trades at a current price-to-earnings ratio of 4, boasts a dividend yielding 4.7%, and is projecting year-over-year EPS growth of up to 19.5%. It's cruising past cost-cutting goals -- allowing it to invest more in research and development -- and is currently executing a $9 billion share buyback program. Oh, and it has $23.2 billion in cash, or $34.1 billion if available credit lines are included. While you could make the "on sale" argument for other major automakers, I'm particularly intrigued by General Motors' upcoming launch of the Chevy Bolt. The electric vehicle is accompanied by a 60 kWh battery that provides an EPA-rated 238 miles of range per full charge and starts at $37,495 -- which doesn't include a federal tax credit of $7,500. I wouldn't necessarily argue that a car starting at that price point is truly a "mass-market" vehicle, but it will beat the similarly priced Model 3 from Tesla to market by at least one year. Backed by the manufacturing might of General Motors, the Bolt could challenge Tesla's assumed dominance in the electric vehicle market. Investors should take notice. Few companies have survived a worse year than SunPower. Or that's what the stock price suggests, at least. The great irony is that the company is executing on its long-term goals and encountering headwinds that were known well in advance -- and facing all solar manufacturers. SunPower disappointed investors with its second half 2016 guidance and prepped investors for a difficult 2017 as well. The culprit: an extended Investment Tax Credit is decreasing the urgency to complete solar projects in this calendar year. That's also leading to an increased discount rate customers are paying for projects, which makes them less valuable for SunPower to sell in the near term. Even with those dark clouds, though, it seems clear that investors are jerking their knees pretty hard. The company, currently valued at $1.2 billion, generates $3 billion in annual revenue, boasts the highest efficiency panels in the industry (24.1%), and has already begun positioning itself to excel in a choppy market next year by recalibrating manufacturing and selling out inventory of previous-generation technology. 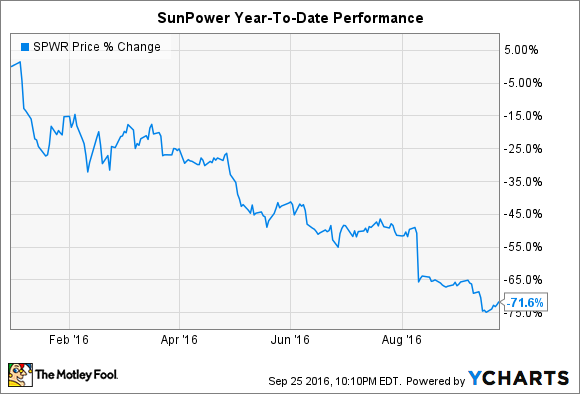 SunPower certainly looks to be on sale, especially with undoubtedly favorable trends in commercial and residential solar. The United States is on pace to add 13.9 GW of solar capacity in 2016 -- 85% growth from 2015 -- and a similar amount in 2017. By 2020, the United States could be adding 5 GW of residential solar alone each year, according to SEIA. If a 70% drop sounds like an overreaction now, then you should take a closer look. Although the stock has enjoyed a bit of a comeback since hitting multiyear lows in July, United Therapeutics is still down nearly 19% year to date. Once again, the driving force in that steep decline was an overreaction by Mr. Market. What happened? United Therapeutics and its partner Medtronic began the year with news that their joint application for a new implantable device that treats and reduces burdens for patients with a lung disease called pulmonary arterial hypertension, or PAH, was delayed by the U.S. Food and Drug Administration. Regulators cited several issues, which the pair are addressing in hopes the device can be approved sometime in 2016. While not ideal, does that really sound like the existential crisis investors made it out to be? Either way, investors have the opportunity to buy a great stock on sale. 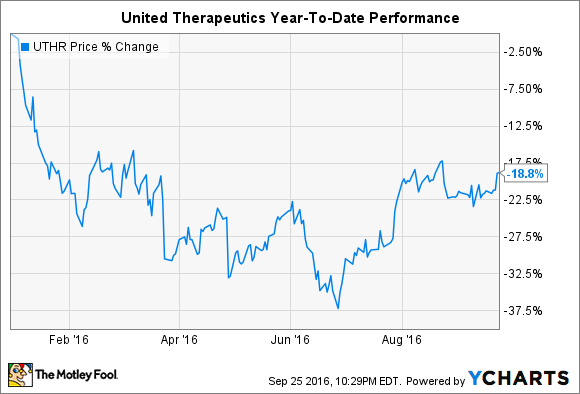 United Therapeutics is the unquestioned leader in treating PAH, with five drugs generating $1.5 billion in sales in 2015 and growing at a year-over-year clip of 14%. Operating profits weighed in at $699 million last year, representing growth of 30% from the prior year period. As growth continues for its portfolio of approved treatments, the company is pouring money into expanded indications and next-level R&D -- like growing human lungs in pigs in the hopes the organs can be transplanted on demand (really). Better yet, most investors aren't aware that a recent regulatory decision could open up the floodgates for federal research dollars in the science-fiction-sounding field. United Therapeutics will be one of the first in line. All investors know Mr. Market wields a sledgehammer and takes no prisoners, but he has some notable near-misses from time to time, too, that eventually result in companies (seemingly) crawling back from (what seems to be) the brink to dominate the broader market. After taking a closer look, it certainly seems that General Motors, SunPower, and United Therapeutics offer great value and are currently on sale for investors.